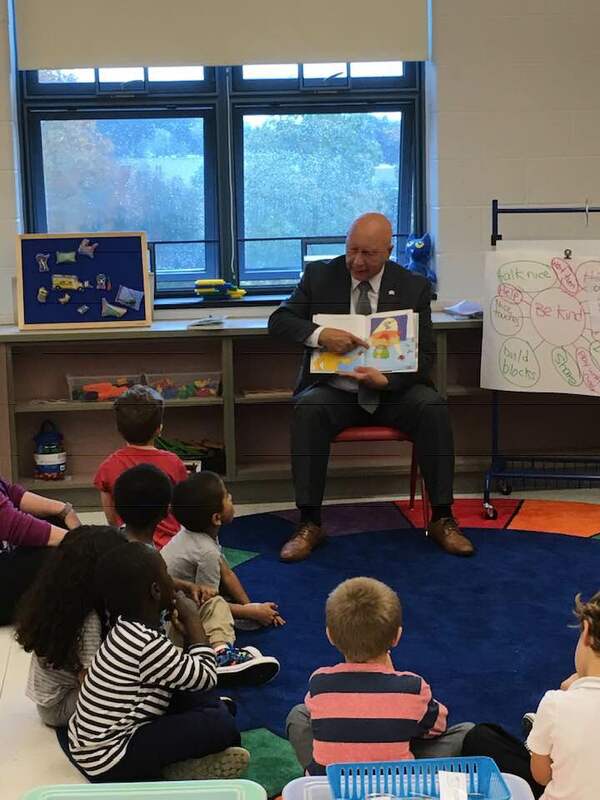 I had a wonderful time reading to children in The Growing Place’s new Pre-K Counts program located in Stroudsburg Middle School. These new preschool classrooms now allow 36 children to participate in a full day preschool program. I look forward to continuing to support high quality early education programs. 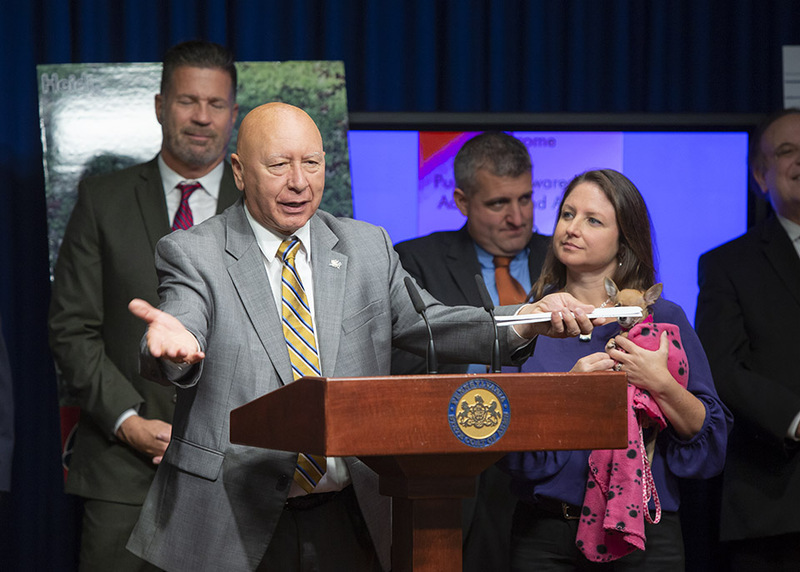 It was my distinct honor to stand with my colleagues and the Humane PA PAC in support of Senator Guy Reschenthaler’s anti-puppy mills legislation that would implement a pet store ban on selling non-rescue animals. It is well documented that pet stores are a prime source of selling puppies from inhumane commercial breeding facilities, where puppies often become sick or, in some sad cases, they can die. With this legislation, pet stores will partner with shelters and rescues to promote adoption and decrease the demand for puppies raised in puppy mills. 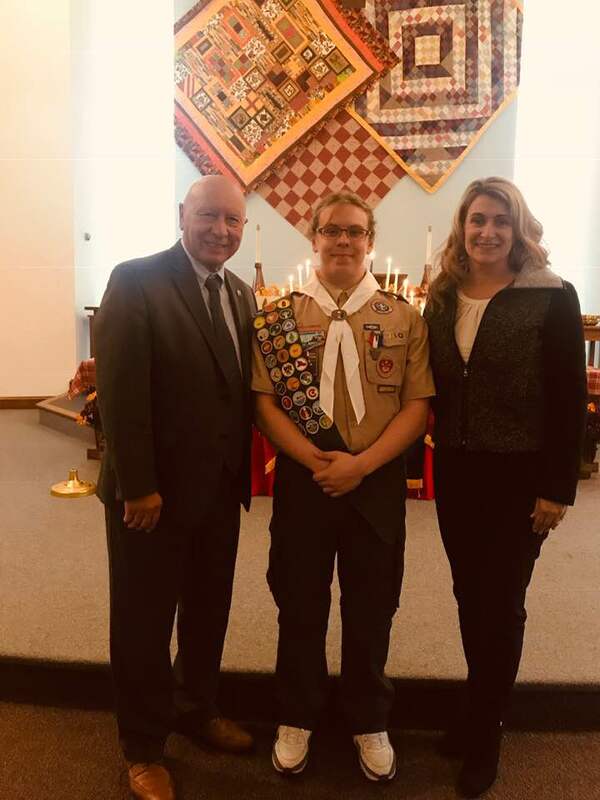 I recently joined PA State Rep. Rosemary Brown in honoring Tyler Lee, the newest Eagle Scout of BSA Troop 41 of Johnsonville, PA. Tyler has served in a number of leadership roles within his troop and, for his community service project, he created a veterans memorial garden at the Salem United Church of Christ in Gilbert. As part of the project, Tyler oversaw the removal of overgrown shrubbery – clearing an area for new plants and trees – and installed a concrete slab for a statute to honor fallen veterans. Thank you for your service to our community, Tyler, and we are grateful for your work to honor those who have faithfully served our nation. 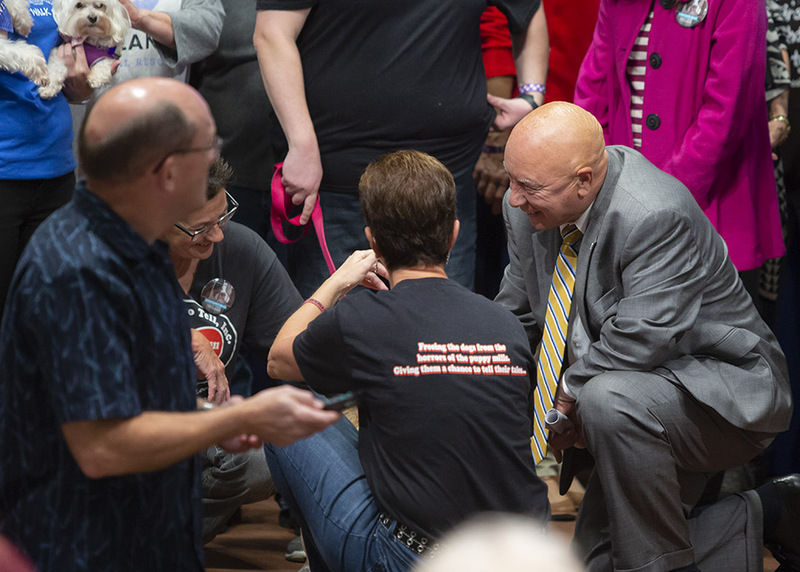 Legislation I sponsored to fund spinal cord disability research in Pennsylvania has been approved by the House of Representatives and will be sent to the governor for enactment into law. Pennsylvania will join a dozen other states, including New Jersey, Ohio, New York, Maryland and Virginia, supporting this effort. Many of these states now represent the cutting edge in spinal cord research and have made extensive breakthroughs in a short period of time. The Senate approved legislation I strongly supported establishing an electronic “One-Stop Shop” under the Department of Community and Economic Development providing a single online access point to aid Pennsylvania job creators. House Bill 1284 was approved by the Senate Community, Economic and Recreational Development Committee, which I chair, in June. It now goes to the governor to be signed into law. The registration of business names. The registration of business structures with the Department of State. The registration of a fictitious name with the Department of State. The registration of state tax accounts with the Department of Revenue. The registration of employer accounts with the Department of Labor and Industry. The identification of points of contact for local governments that may have applicable local registrations, permits, zoning requirements or other requirements. House Bill 1284 requires other Commonwealth agencies to provide technical assistance and cooperate in good faith for the development and implementation of additional features or resources provided in the portal. DCED must submit a report to the Senate Community, Economic and Recreational Development Committee, and House counterpart, which includes information on the number of businesses assisted and types of assistance provided to each business. The state doesn’t create jobs, but it too often hampers the efforts of those who do. Making it as easy as possible to navigate the rules and regulations that come with running a business is an effective way to promote the growth of family-sustaining jobs. Senate Bill 919 allows a county housing authority to relocate a domestic violence victim to another unit under the authority’s control or in another county housing authority, or refer the victim to local advocacy organizations for housing assistance. Legislation I co-sponsored increasing the penalties for habitual DUI offenders received final legislative approval this week. Senate Bill 961 creates a new felony DUI offense in Pennsylvania for individuals convicted of their third DUI with a BAC of .16 or higher and all persons convicted of their fourth DUI.